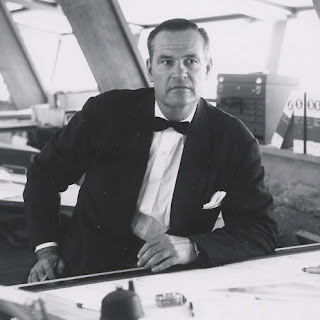 In the early 1980s I began making periodic visits to Taliesin West in Scottsdale, Arizona, to research a book on the Larkin Administration building. 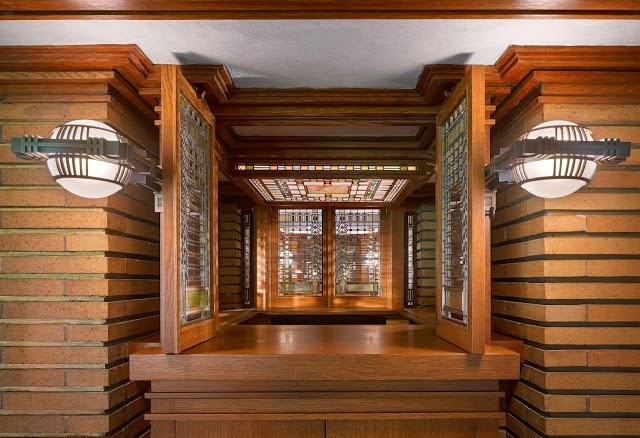 Because the Frank Lloyd Wright archives (22,000 drawings and nearly 200,000 documents) were only recently opened to such research I was provided a room and was given meals along with everyone else in the Taliesin Fellowship, a substantial group of architects, students, support staff and various others. The apprentices and students cooked the meals on a rotating basis much as they had since the start of the Fellowship in1932 and everyone ate together except for Mrs. Wright who was then quite elderly and partially blind. I was surprised when, after a few days, Wes Peters, sat next to me at breakfast and proceeded to regale me with stories about his experiences out there in Arizona. This was a man who had married Mrs. Wright's daughter, Svetlana, subsequently killed in an automobile crash, and later married Svetlana Alliluyeva daughter of Joseph Stalin so I listened to him through a scrim of recollections of the Cold War in the 1950s when as school kids we had to practice getting under our desks (in Keene, New Hampshire, a likely Soviet target) in case "they" dropped an atomic bomb on us. Wes was a big strapping fellow who liked to talk about going out in the desert to shoot javalinas but he told one story that I especially appreciated because it was the re-telling of one that Wright told him that dated back to 1903. Wright designed a second Hillside Home School in 1902 for his aunts Nell and Jane to replace the wooden building that he designed for them in 1887 but this one is made out of that warm, yellow-brown dolomitic sandstone local to southern Wisconsin Wright was then living in Oak Park, Illinois, and left the construction of the new school up to an old but trusted mason whose name was Kramer, as I recall. Wright would periodically visit to supervise. 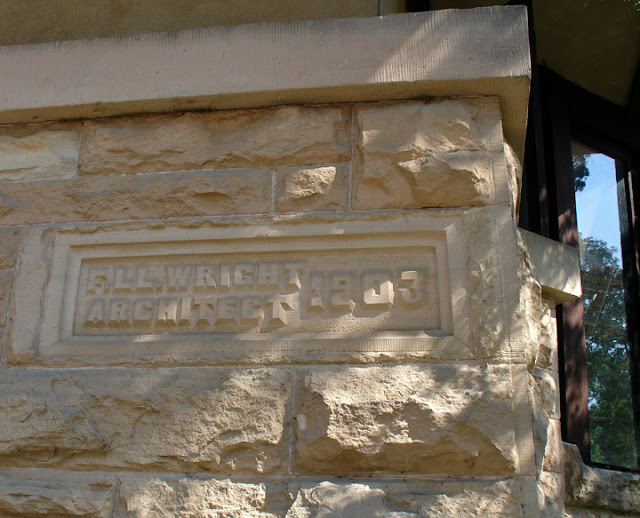 As a finishing touch, Kramer carved a cornerstone inscribed "FRANK LLOYD WRIGHT ARCHITECT 1903." Wright vehemently objected saying "I don't do that," by which he meant that his work announced itself as his and needed no labels. Kramer simply answered, "But I do," and the cornerstone has been there ever since. Copyright Martin House Restoration Corporation. Ethereal theme. Powered by Blogger.